Pruning perennial ornamental shrubs is an important element in the spring care of a landscaped garden. The approach "the more branches, the better" is wrong and results in overgrowing of some trees and shrubs and the oppression of others. Instead of an expected riot of colors, shrubs lose their attractiveness, blooming is inhibited and foliage color and foliage density on old branches deteriorate. Unpruned plants grow too dense and become prone to diseases typical for dark and humid places. The uncontrolled growth of shrubs can change the lawn shape. Don’t be afraid to prune ornamental trees and shrubs. Early in spring, before leaves open, prune paniculata and arborescens hydrangeas. Remove weak growth and leave a few strongest branches with 3 to 5 buds. This stimulates prolific flowering and ensures a spectacular display. Mophead hydrangeas blooming on old growth are pruned after flowering. Hazel, especially its ornamental varieties, is thinned before catkins appear. 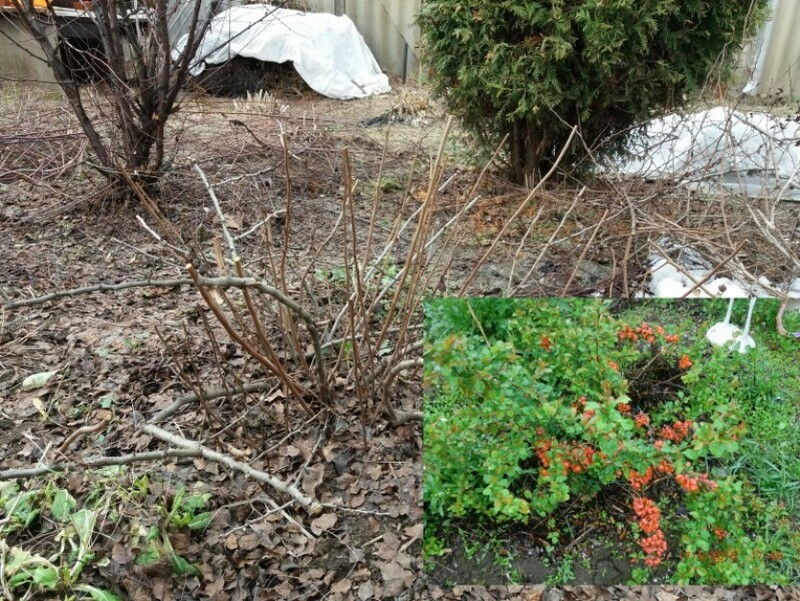 In this period, remove diseased and winter-damaged shoots on trees and shrubs and cut out the last year's growth around the Saskatoon berry, snowberry, false spiraea, tree-shaped and grafted shrubs. 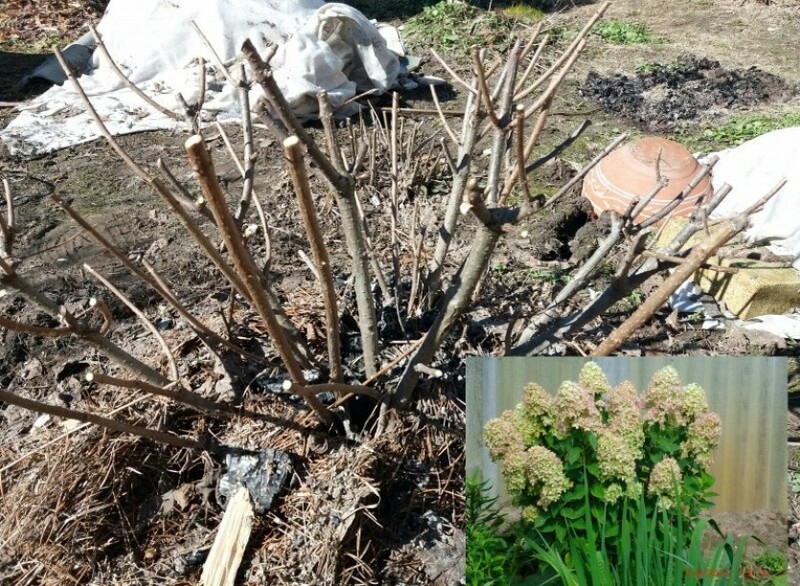 In the spring, rejuvenating pruning of old unkempt spireas, barberries, mockoranges and other species is performed. Cut the branches older than 3 years old to 5-15 cm from the ground level to stimulate new growth from the sleeping buds closer to the ground. 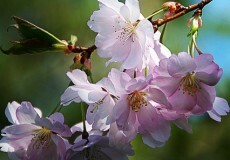 In the spring, shape crowns of late-blooming spireas, dogberries, ninebarks, butterfly bushes, roses, and cinquefoil. Their pruning stimulates lateral branching. 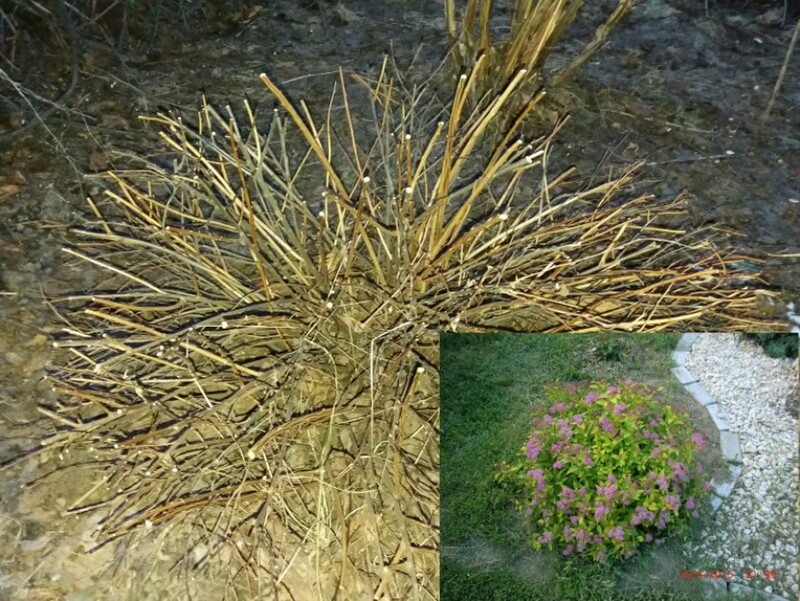 If the shape is more important than abundant flowering, you can perform formative pruning of barberry crowns. Forsythias, lilacs, mockoranges, spring-flowering spireas, weigelas, quince, and snowballs that flowers on the last year’s growth should be pruned after flowering. Trim weeping holly, cotoneaster, and cinquefoil hedges to maintain their shape. During spring pruning of fast-growing shrubs (Thunberg's barberry, hawthorn, privet, and Tatarian dogwood), you may remove up to half of the growth on new shoots. Remember to use sharp and rust-free tools. After pruning, feed all the plants.